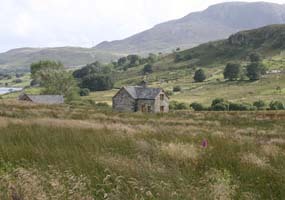 Are you thinking about spending your holiday leave in a holiday cottage in Snowdonia, Wales ? If your answer is “Yes”, then read on; let’s see what are the best ways to find accommodation in this area. The most important rules to follow: don’t compromise on fun and don’t waste money in vain. Look for online reservation : If the holiday cottage in Snowdonia, Wales has a custom made website, it more than likely offers the possibility to make an online reservation. Or, if not, they will at least provide a phone number. Search for quality at affordable prices : Snowdonia is not really the most exclusive touristic attraction from Wales, so you should be able to find a cute holiday cottage which does not empty your pockets. Here’s a tip: since you are looking for accommodation, make a top 5 most important things that you are looking for in a cottage. Then, according to your top, decide whether or not a location is worth your money. For example, a Top 5 Things to look in a holiday cottage in Snowdonia, Wales could be: affordable price, breakfast included, close to public transportation, bathroom included, TV included. Once you know what you want it will be so much easier to make a decision! Look for special offers : Some cottage owners will give you a special offer if you decide to stay for longer. For example, you can get a 7 nights plus 1 free.